Good things come in threes. 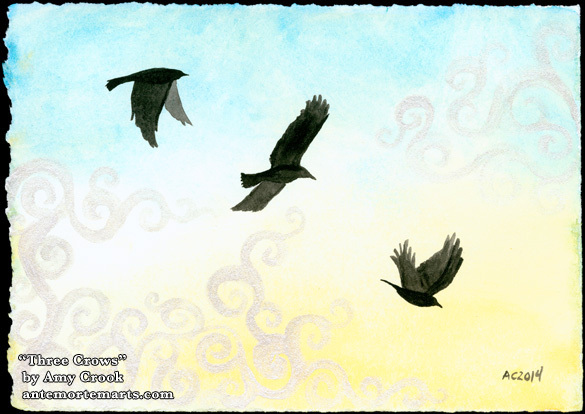 One crow flapping, one crow diving, and the middle one gliding away on an updraft to avoid the swirling cloud. The sky has bright blue arching down and sunny yellow shining upward, but it’s the spiralling clouds in metallic silver that really make it beautiful. The silver paint shows up grey at some angles, shining white at others, and sometimes it blends right into the background so well it nearly vanishes. 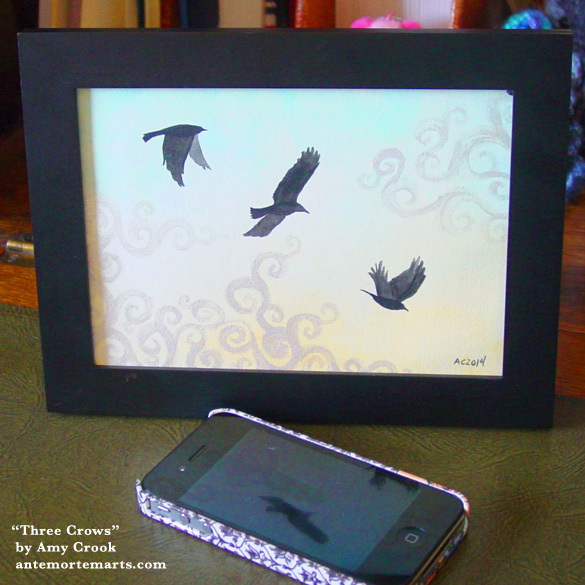 Three Crows, 7″x5″ watercolor and metallic watercolor on paper. 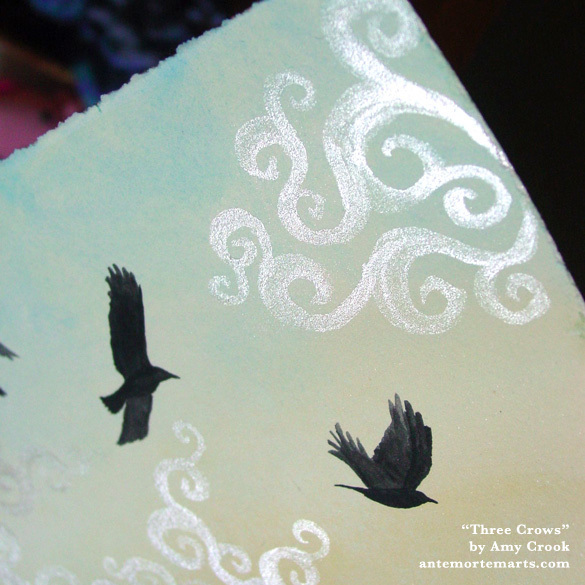 Above, a close-up of shimmering clouds and two of the three crows. 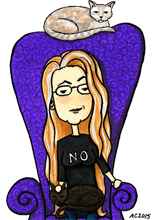 I’m especially fond of the shape of the upper right cloud. Below, the piece in a frame, with my iPhone for scale.